Between 2008 and 2012, warmer than usual waters caused four glaciers in Western Antarctica to flow toward the sea faster than any other glacier on the continent. The glaciers also lost more than three times the amount of ice than usual, according to new research. All these changes are bad news for Antarctica — and us. 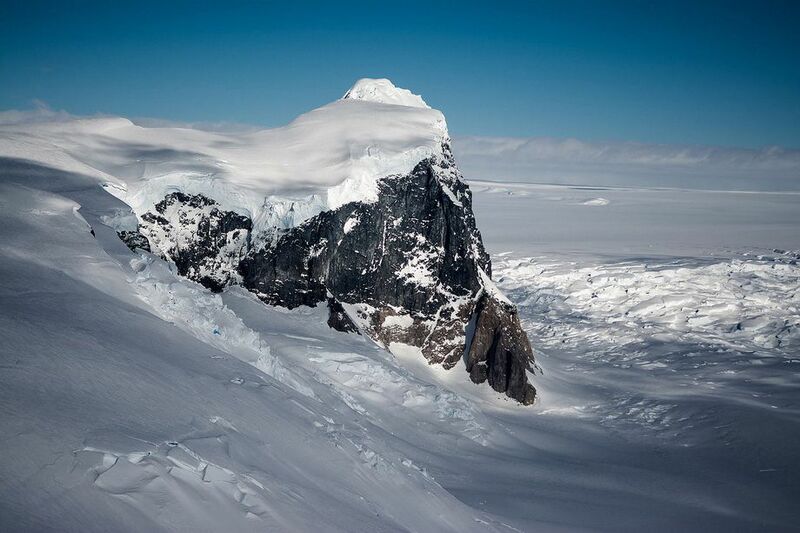 As grounded glaciers melt, sea levels around the world rise. 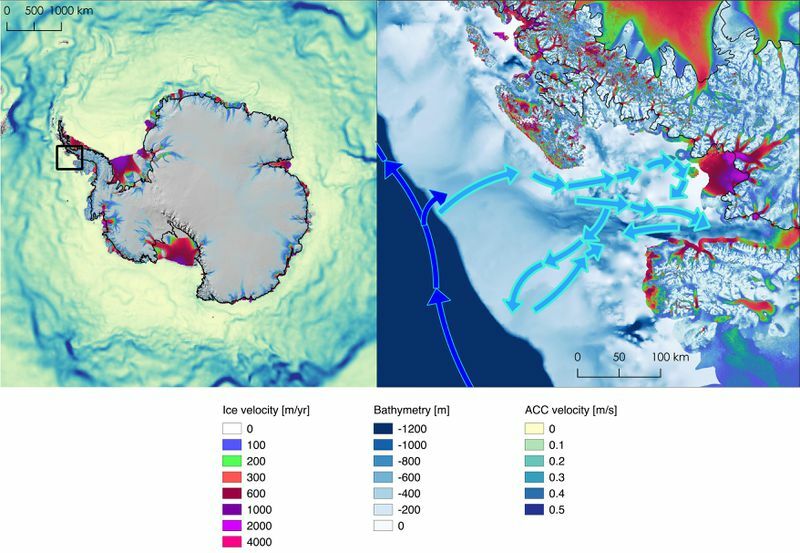 The four glaciers described in the study, published last week in the journal Earth and Planetary Science Letters, are located in Marguerite Bay, on the western side of the Antarctic Peninsula. This is the northernmost area of the continent, and the one most susceptible to rising temperatures. Researchers at NASA’s Jet Propulsion Laboratory (JPL) found that 1 to 2 degrees Fahrenheit warmer than usual waters in the area doubled the glaciers’ speed toward the sea, and more than tripled the amount of ice they lost — up to 33 feet a year, from 7 to 10 feet a year. Antarctica has been making headlines lately: one of the biggest icebergs ever recorded — roughly the size of Delaware — broke off the Antarctic Peninsula in July. Another glacier in Western Antarctica has been cracking from the inside out, producing another massive iceberg — four and a half times the size of Manhattan — this week. All these big chunks of ice, however, calved out from floating ice shelves. That means the ice loss doesn’t raise sea levels by itself. (The same goes for ice cubes in a glass of water: when the ice cubes melt, the water level in the glass doesn’t rise.) But the floating ice shelves do create a barrier that keeps the ice on land from flowing into the sea. “This is the first time that we could see something directly affecting glaciers that are on land, that are in contact with the ocean but not floating,” Walker tells The Verge. The new maps, which were created using Landsat satellite images, showed a huge change in speed for the four glaciers in Marguerite Bay from 2008 to 2014. By 2012, ice was flowing at approximately 1.8 miles a year, up from 0.3 to 0.9 miles a year. “It just sort of popped out at us, so that’s why we started looking there,” Walker says. The reason for the speedup was warmer than usual waters, which first came into the bay in 2008 and stayed throughout 2011. The warm water was welled up from the deep ocean and brought to the front of the glaciers by northwesterly winds. Walker says she was surprised by how fast the glaciers sped up, and how quickly the ice responded to the slight water temperature increase. Warm waters peaked in January 2009, and by November the glaciers were already losing ice at a rate of 25 feet per year. “It was a quick reaction,” Walker says. Even if all of the Marguerite Bay glaciers melted, they’d raise sea levels by a “minuscule amount” — millimeters or less, Walker says. But all this melted ice isn’t coming back, and with time, it’s likely that these four small glaciers will collapse, she says. Climate change is only going to make things worse: ocean waters are getting warmer, and human-made changes to the atmosphere are thought to increase the intensity of climate patterns that determine how winds blow around Antarctica. Next, Walker will continue keeping an eye on the Marguerite Bay glaciers. When the water around the bay cooled down, the glaciers slowed down. But at the same time, right around the corner at Pine Island Glacier, the ice sped up and there was widespread melting, Walker says. There’s still a lot we don’t understand about how climate change will affect Antarctica, and this study adds one piece to the puzzle. The big question scientists are trying to answer is: how much will sea levels rise? The answer is key for the future of American cities like Miami and New York — and all the people and businesses who call those places home.